- Original English Menu Instruction Book! Max firing range of about 25M Equipped with motor AIR GUN. All driving wheels suspension System. 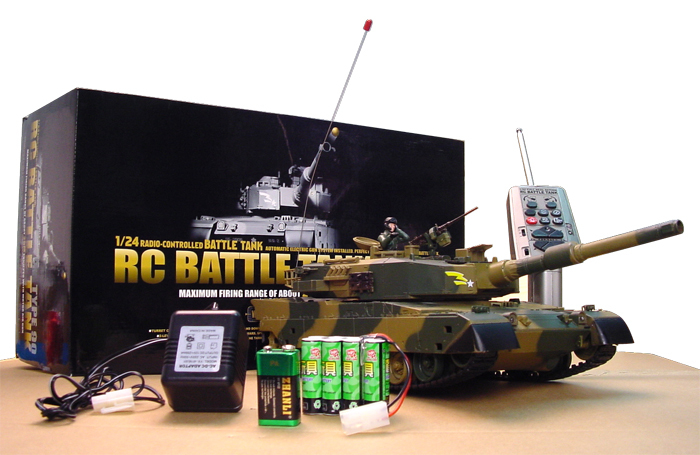 1/24 Scale and 41cm of Tank length make vivid tank battle Possible. Tank Fighting Possible (More than one Tank can run at the Same Time. Running Time as long as over 60 minutes. 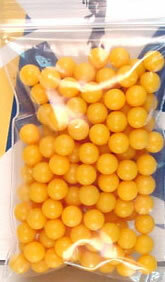 bag of 6mm Battle Bullet. 9V Battery for remote control.